LED grow lights are increasingly favored by home and commercial cannabis growers alike. The best LED grow lights boast many benefits that give them the edge over traditional High Intensity Discharge (HID) lights, from being more economical to being brighter and more convenient. But one of the most often cited benefits is that LED grow lights run cool. Does this mean LED grow lights don’t give out any heat at all? Or if not, how much heat do they give out? How close to your plants can you safely hang them? 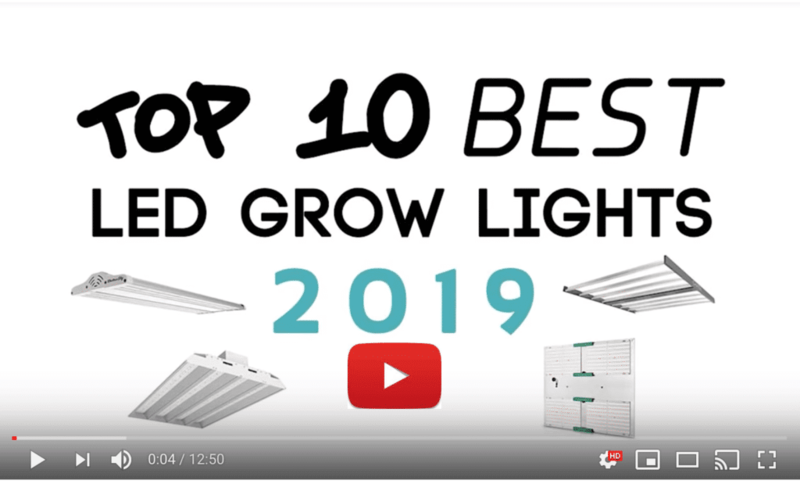 5 How Hot Do LED Grow Lights Get? Hopefully, by now, misleading advertising claims that LED grow lights give out no heat at all have been left firmly in the past where they belong. But if not, the truth is that any kind of electric light gives off at least some heat. In fact anything that converts electricity into something else gives off heat. It’s just the laws of physics. What LEDs do especially well, though, is convert electricity into light much more efficiently than most other forms of lighting. And the higher the efficiency of the conversion the less heat is given off. That means that with LED grow lights you’ll be spending much less of your electric bill on the creation of heat that you don’t want or need. Heat that you’ll sometimes even need a cooling system to deal with, depending on the size of your grow setup. And unlike with fluorescent lighting, another cool running alternative to HID lights, you don’t have to sacrifice brightness and canopy penetration for coolness either. Wattage is not a measure of brightness. It’s just a measure of how much power is drawn from the outlet at the wall. That’s true whatever the kind of lighting you’re talking about. However, we’re all used to thinking of wattage as a measure of brightness. If we want a brighter light bulb, we buy a higher wattage light bulb. Simple. And when it comes to growing cannabis, naturally, we think a higher wattage bulb will be brighter and give more coverage. 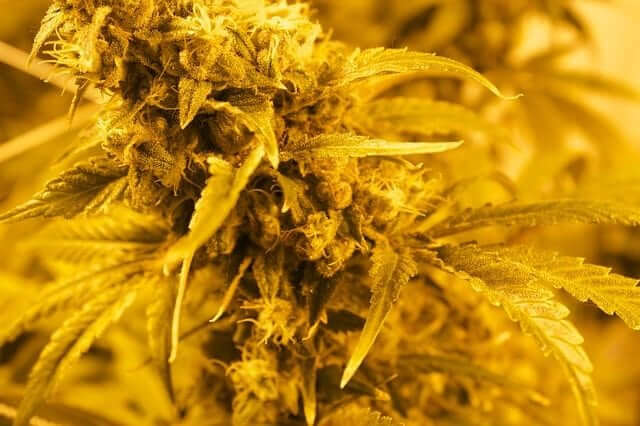 Indeed, there’s lots of advice out there about how many watts you need per square foot of cannabis grown. And it’s not bad advice. However, that advice only applies when you’re comparing like to like. Oranges to oranges. HPS grow lights to HPS grow lights. As we’ve said above, different lighting technologies have different levels of efficiency when it comes to converting electricity into light. So an LED grow light and an HPS grow light that both draw the same wattage from the wall won’t give out exactly the same level of brightness. In fact, the LED is likely to be brighter, since it’s more efficient. Not only that but different LED technologies have different efficiency levels. Even different colors of LED chip are more or less efficient than each other. Then you have the problem that while some LED grow light manufacturers name their products according to how many watts the light draws, others are trying to tell you the wattage of HID light their LED light is intended to replace. So, all in all, comparing LEDs according to stated wattage isn’t very helpful. If you want to work out how much your electric bills are going to be, sure, check the finer details for how many watts the light actually draws. But for brightness, forget about wattage. For us humans, it’s lumens. Lumens measure how bright a light will appear to the naked human eye. However, for plants, light is food. And they can make better use of certain wavelengths than others. So what we really need to know is how much usable light a grow light can give your plants. The measure your plants care about is Photosynthetic Photon Flux (PPF), or better still Photosynthetic Photon Flux Density (PPFD). PPF is the amount of usable light the grow light emits per second, which gives you a good idea of brightness. PPFD, on the other hand, measures the amount of that light that actually falls on the plants per square meter per second. Which tells you both brightness and quality. In both cases, the higher the number the better. If that’s the case: when comparing LED grow lights, be guided by manufacturers’ stated coverage areas when hung at different heights (and during vegetative and flowering stages, if the lights can give more than one spectrum). It means trusting the manufacturer’s claims. But even if the PPFD numbers are missing, a good, credible LED grow light manufacturer will still give you enough charts and measurements to judge what sort of grow area their light can comfortably cover. How Hot Do LED Grow Lights Get? The short answer is LED grow lights will heat up your grow area 40% less than HID lights drawing the same wattage. And more specifically: according to the manufacturer Advanced LED, LED bulbs emit only around 107°F, compared to incandescent bulbs at 327°F, and compact fluorescents (CFL) at 167°F. Nonetheless, there is a reason all manufacturers recommend hanging their LED lights at a certain distance above your cannabis plants. But it’s not heat exactly. The reason is that LED grow lights are extremely bright and intense close up. Just like you can damage a plant by over-watering or giving it too much fertilizer, you can also overload it with more light than it can healthily absorb. But LED grow lights do give off heat. Firstly, even LEDs can convert only around 80% of electricity into light (though the best are exceeding that). And usually only about 80% of that light leaves the grow lamp. The rest of that energy becomes heat. But in addition to heatsinks many LED grow lights have internal fans to keep the diodes cool. And the best eliminate moving parts (and extra electricity consumption) by simply using good materials and clever design. Energy in a closed system can neither be created nor destroyed, only change form. Your grow room is a closed system and light is energy. 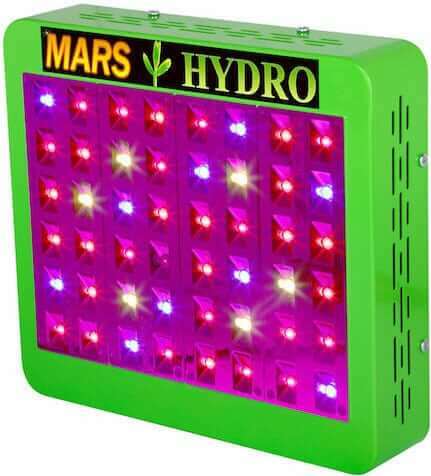 Much of the light your grow lamps produce is transformed into chemical energy and stored by your plants, but any light not used is absorbed by objects within the grow space and becomes heat. The great advantage with LED grow lights is that most of the light they produce is in wavelengths that cannabis plants can easily absorb. HID lights, on the other hand, produce much more of certain wavelengths than your plants really need, which just ends up heating up your grow room. HID lights also rely on heat to generate light in the first place—so much heat, in fact, that in a confined space they can be a fire risk. Combine that inefficiency with LEDs producing much more light per watt than HID lights, and you can see why LED grow lights produce around 40% less heat in your grow space than HIDs. In short, yes, LED grow lights do create heat. 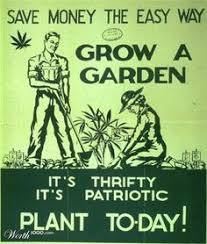 But so much less than any other form of grow lighting. The reason for keeping them at a sensible distance from your plants is much more about sheer brightness and intensity than any real danger of overheating your plants. As you lower them towards your plants, the intensity of light will cause problems long before the heat emitted ever does. 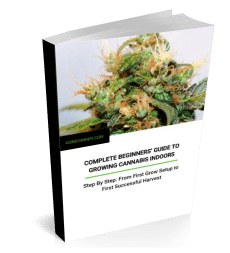 So just follow the manufacturer recommendations, make any necessary adjustments for the specific strain you’re growing, monitor heat and humidity in your grow space (as usual) and you’ll have no problems with your LEDs. In fact, you’ll likely find LED grow lights even easier and more effective to grow with than anything else.